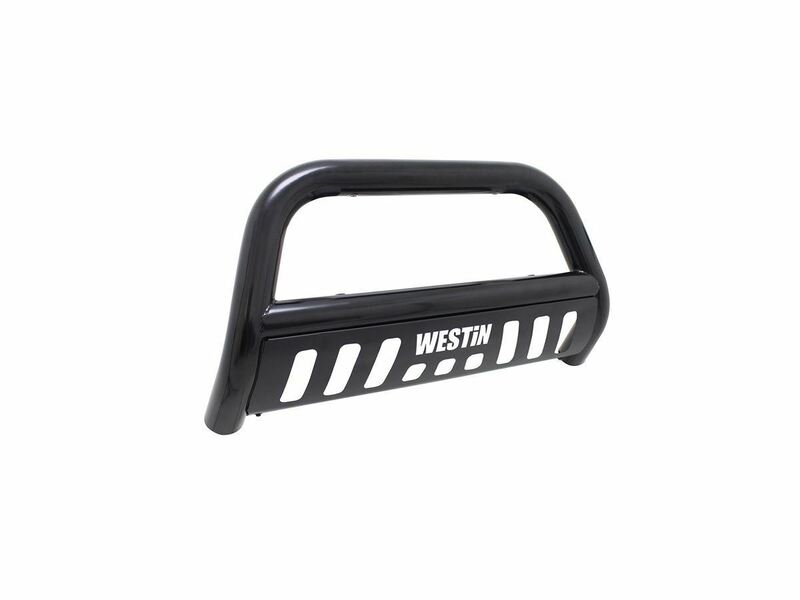 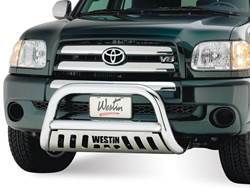 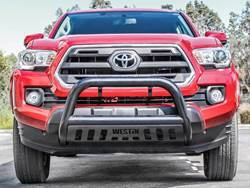 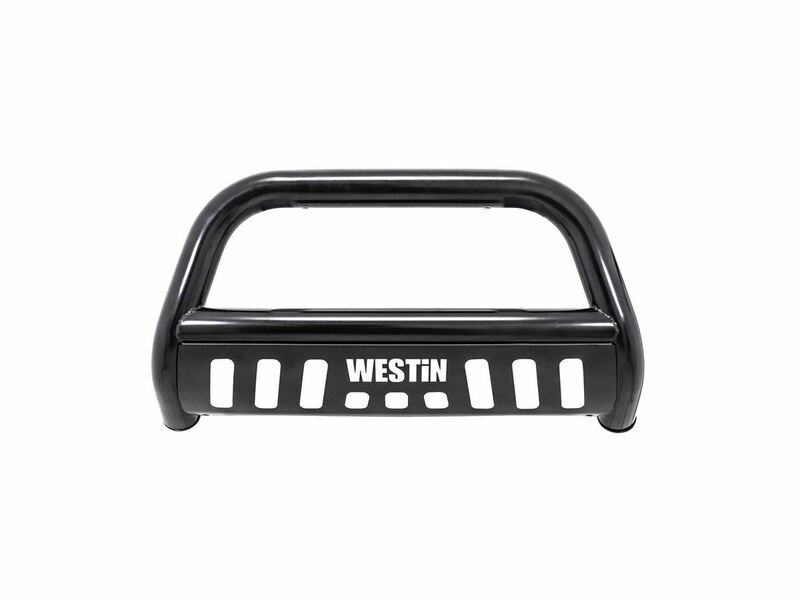 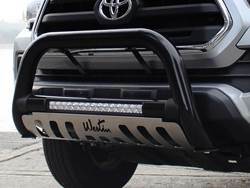 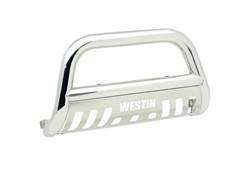 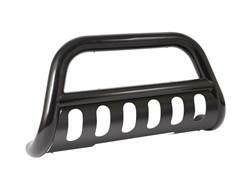 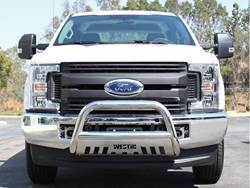 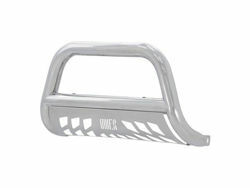 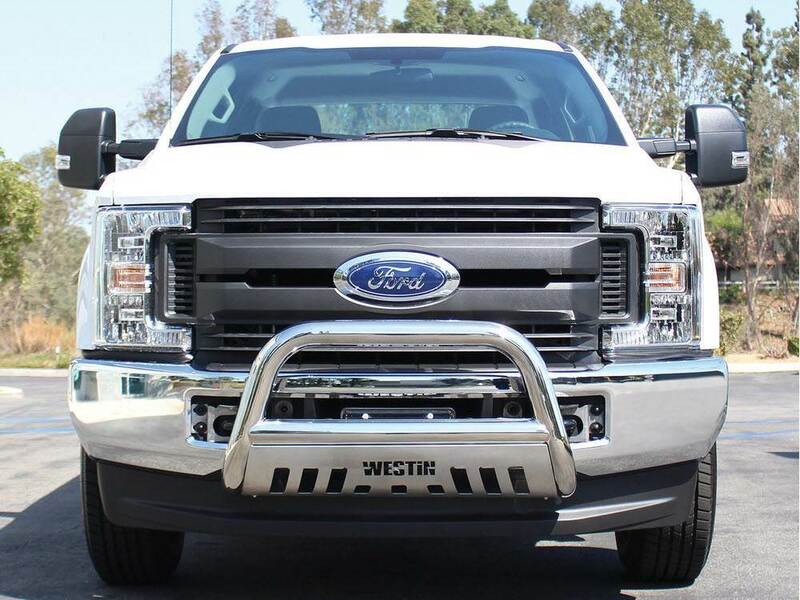 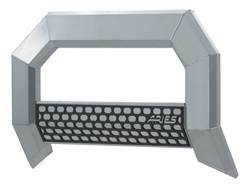 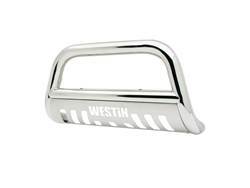 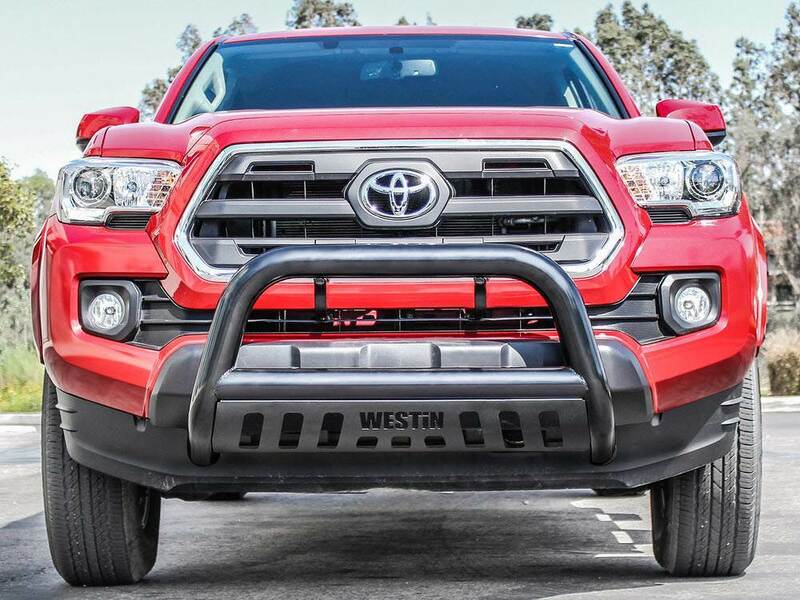 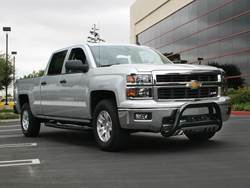 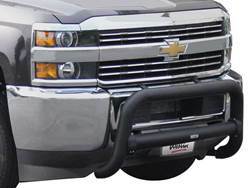 Westin E-Series Bull Bars are a front-end light bar designed for trucks and larger model SUVs. 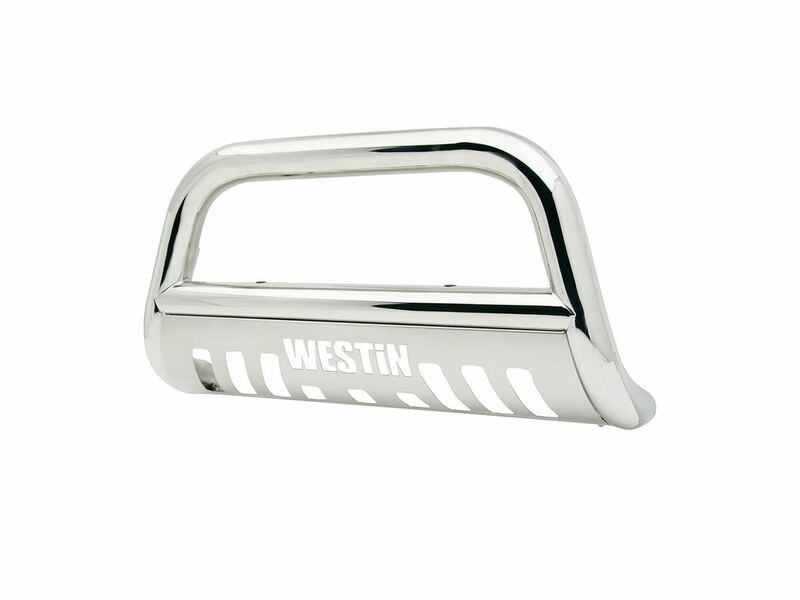 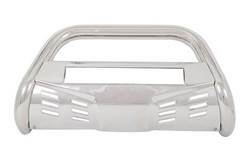 It is made of 3" diameter polished stainless steel tube. 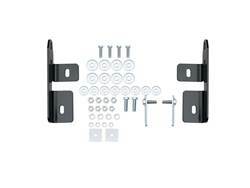 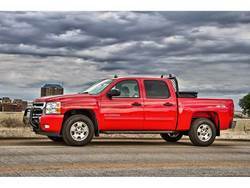 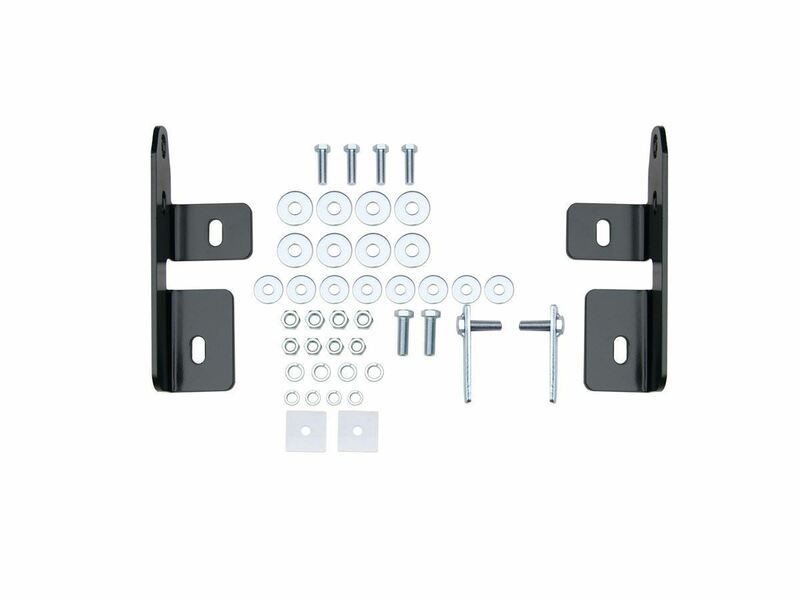 It mounts utilizing existing vehicle mounting points and installation does not require any drilling to the vehicle frame. 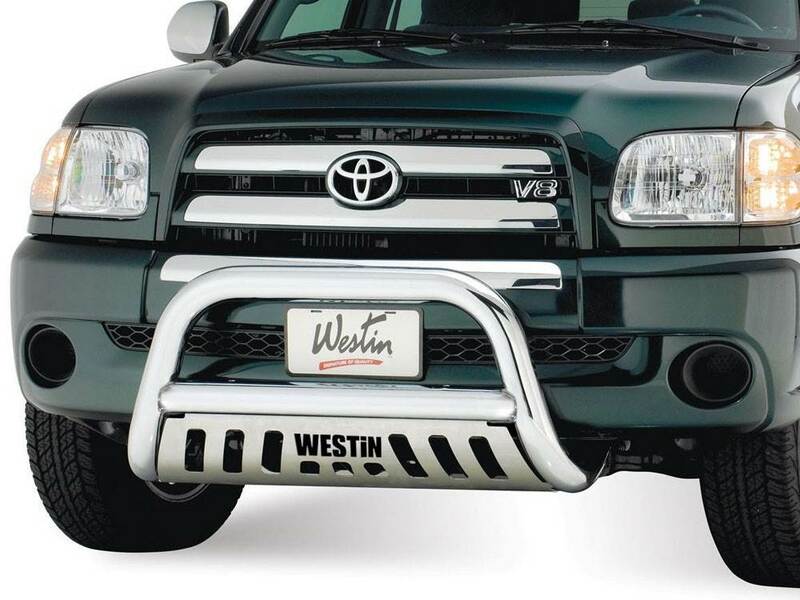 Comes complete with mounting kit, the Westin E-Series Bull Bar provides a mounting point for 2 auxiliary lights up to 6" in diameter. 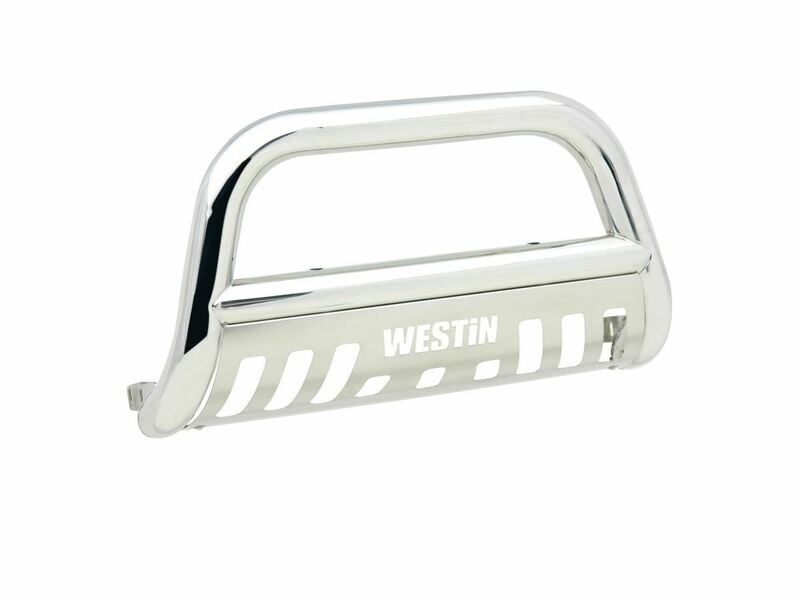 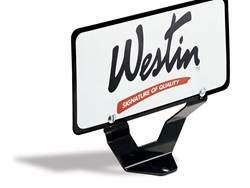 It features a die-cut Westin block logo design on the stainless steel skid plate. 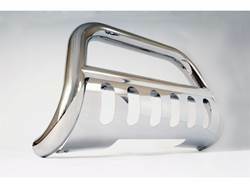 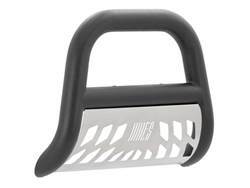 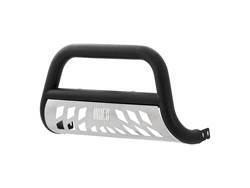 The stainless steel finish has a lifetime warranty, the black powder coat finish has a 3 year warranty.